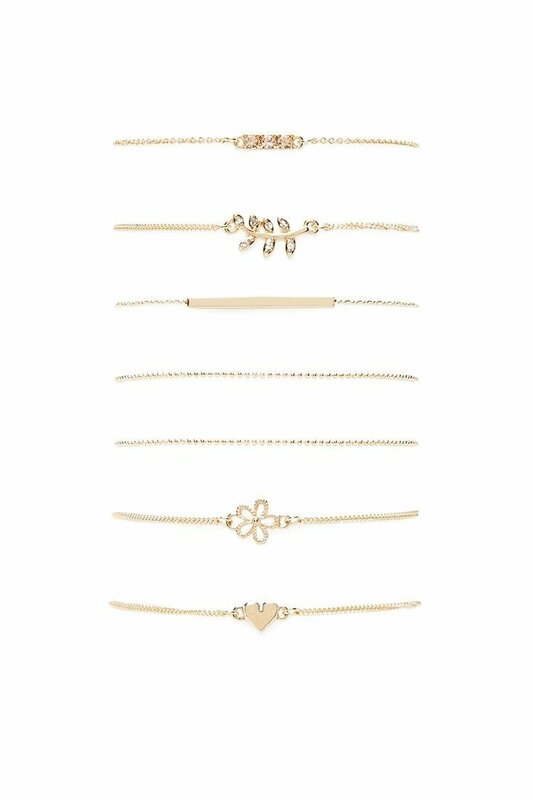 A set of bracelets featuring heart, flower, matchstick charms, and a lobster clasp closure. 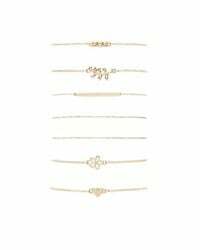 Seven bracelets total. Made in China. Width: 9". Diameter: 0.125".